Element Hotel, a new 460-room extended stay hotel in Philadelphia, PA, announced today, plans to install Evolve Controls’ wireless room controls system into all 460 rooms of the property, currently undergoing construction. Developed by Vine Street Matthews, owned by Chestlen Development, and managed by Starwood Hotels/Marriott, the LEED-certified hotel selected Evolve Controls for room control. “We chose Evolve for its sleek design and seamless installation process. However, it’s not just about the system, it’s the superior service we have received in creating a custom solution for us to support our new hotel,” said Project Manager, Rich Gibson, of McCrae-Gordon Group Electric Joint Venture, LLC. The Evolve Controls system consists of wireless, cloud-based room control and management solutions, designed to enhance guest experience, and reduce energy costs within guest rooms as much as 30% annually. Evolve’s API allows for integrations to further control and personalize the guest experience. “Our goal is to create a custom solution to help hotels run more efficiently, enhance guest experience and reduce energy costs. We are there every step of the way to support our customers, such as Element, to ensure an easy and successful installation,” said Kristin Miller, CEO of Evolve Controls. 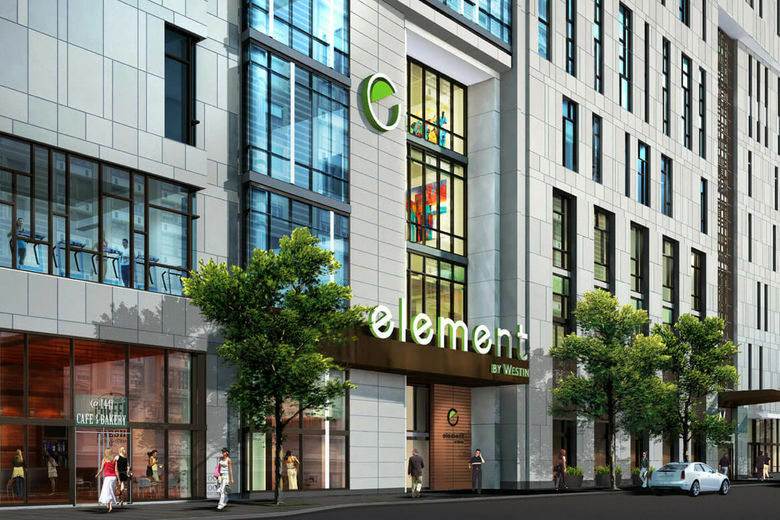 Element Philadelphia will occupy a 51-story skyscraper among Philadelphia’s many retail shops, Independence Hall, Philadelphia Art Museum, and the Kimmel Center of Performing Arts. The property will include a complimentary bike to borrow program, a 1,400 square foot breakfast and lounge area, and a 1,600 square foot fitness center. Founded in 2006, Evolve delivers wireless room control and management solutions that connect simply, run powerfully, and drive business intelligence that enhance the guest experience, reduce operating costs and maintain sustainability. Find out why top hotels choose Evolve Controls. For more information, visit www.evolvecontrols.com.